The UK government has put plans in place to hobble the likes of Amazon and Play.com by announcing that it is to close a loophole that allows the cheap import of Blu-rays, DVDs and CDs from the Channel Islands in the UK. 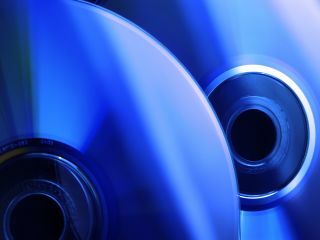 As of 1 April 2012, online retailers will no longer be able to get the benefit of tax relief from the discs they bring in from the Channel Islands. From November 2011, the government had already cut the Low Value Consignment Relief (LVCR) maximum allowed from £18 to £15 but it is to be abolished altogether next year. "These reforms will ensure that UK companies, especially small and medium-sized enterprises, can compete on a level playing field with those larger companies with the resources to set up operations in the Channel Islands," said David Gauke, Exchequer Secretary to the Treasury about the move. While this is great news for smaller businesses, the majority of people who buy their discs from the online giants because of their low costs will be disappointed. Or it may mean that Amazon and the like look further a field, as LVCR will still be in place for countries that are outside of the EU. Just this week, Twentieth Century Fox announced that the UK and Germany were now the biggest Blu-ray buyers in the world.